With the relaunch this past week comes lots of goals for the LCC. One of those being: DO MORE VIDEOS! I think video content is extremely engaging as a reader, but so much harder on the other side, as the content creator! It’s something I’ve dabbled around in (exhibit A + B) but really wanted to give a full shot with this coming year. I’m absolutely in love with all of the videos fellow blogger, Sugar and Charm, posts so I figured, why the hell don’t I give it a try?! Luckily I have an experienced videographer on the team and as a best friend! There’s something in my hometown called an Orange Crush. Everybody drinks them simply because there’s a bar here (Harborside Bar & Grille is the name, for those of you wondering) that claims they are the “home of the original Orange Crush.” It caught on and now every bar in town has their own version on their menu. Most make it with Orange Vodka, but I prefer plain Titos. To me all flavored vodkas have that candy tasting that leaves a drink too sweet. Read on to see the video and learn how to make this refreshing cocktail at home! It’s rather simple in thought but a drink that leaves a huge impact. 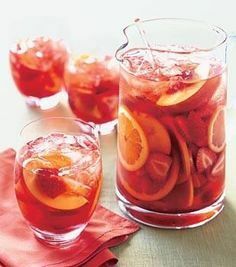 Other delicious variations include Vanilla Vodka for a “Creamsicle Crush,” or using grapefruits instead for a “Ruby Red Crush.” The OG version will always be my fave. So what do you think, would you give this drink a try? Perfect for cooling down on a hot summer day during this heat wave! Also- what did you think about the video? Do you want to see more on the LCC? Drop us a line below!